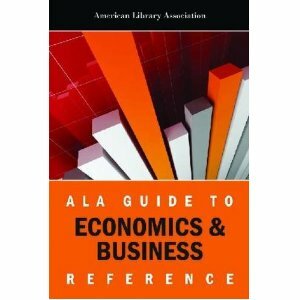 The ALA Guide to Economics & Business Reference is a comprehensive addition to a spate of new and forthcoming business bibliographies. This book is part of a series of classic, discipline-specific annotated bibliographies based on the American Library Association’s online subscription Guide to Resources. The materials in the ALA Guide to Economics & Business Reference are broadly focused, and English language resources predominate. Entries include websites, search engines, databases, information portals, and periodicals, but overall the emphasis is on standard resources. Thankfully, annotations conveniently describe relationships between online and previous formats and iterations, and the authors aren’t afraid to editorialize. For example, comments such as the Almanac of Business and Industrial Financial is “the easiest ratio source to use” (5), and Advertising Age is “the profession’s most important trade publication” (201) are helpful to the reader. Organized into eight broad topics, chapter headings include Basic Industry and Company Information, Economic Conditions and World Trade, and Functional Areas of Business such as Accounting and Taxation, Management, Marketing, and so on. General Works, Occupations and Careers, Regional Economic Sources (meaning country profile information), and Specialized Industry Information (i.e., computers, financial services, consulting, health care, media) round out the broad topics. New sections comprise business law, e-commerce, international business, information systems management, market research, and various industries like agribusiness, biotechnology, and leisure. For the most part, the specialized industry information is extensive and reflects areas of study that are current and important; however, specific industry sections about insurance, human resources, real estate, and professional services would have been appreciated. Although both Dewey and LC call numbers are listed for each entry when appropriate, and ISSN numbers and ISBNs are provided, there is no resource pricing indicated, and the index is disappointing. Solely organized by resource name, the index could have been made more user-friendly by the addition of both author and publisher entries. Further, many resources are named over and over again for different topic areas but with the same description for each. For instance, The Economist is a valuable resource but all eight references to it include the same description and do not differentiate why it should be consulted for world trade, book reviews, or information about Central and Latin America. That said, ABI/INFORM is mentioned only once, and the BNA Tax and Accounting Center and Country Profiles from Mergent Online are not mentioned at all. Regardless, this print offering is strongly recommended and is an affordable option for academic, public, and special libraries and for anyone trying to enhance a basic business collection. In fact, it will definitely find a place on the reference shelf in my office. To view some of the other new business bibliographies, be on the lookout for Eric Forte and Michael R. Oppenheim’s fifth edition of The Basic Business Library: Core Resources and Services (2012), Celia Ross’s Making Sense of Business Reference (2012), and the third edition of Strauss’s Handbook of Business Information: A Guide for Librarians, Students, and Researchers (2012) by Rita W. Moss. Melissa Gains is a Business librarian at Boise State University’s Albertsons Library.